Below you can view all the homes for sale in the Riverwalk subdivision located in Rock Hill South Carolina. Listings in Riverwalk are updated daily from data we receive from the Charlotte multiple listing service. Enjoy The River District restaurants, shops, kayak launch, biking venues & Catawba River. Home shows like a model! MLS#3492231. Keller Williams Fort Mill. Buyer/Agents to verify all pertinent info i.e., SF., zoning, CCR’s, etc. MLS#3493253. Keller Williams Fort Mill. Enjoy The River District restaurants, shops, kayak launch, biking venues & Catawba River. MLS#3486853. Keller Williams Fort Mill. Large bonus room. Screened back porch overlooks trees. MLS#3486135. Carolina Realty Solutions. The home site has beautiful views of the best nature has to offer! MLS#3482593. Avencia Homes. The home site has beautiful views of the best nature has to offer! MLS#3482560. Avencia Homes. Our broad range of amenities include all manner of sporting venues, miles of exciting trails, plus shopping and dining choices. MLS#3482700. Avencia Homes. Enjoy the Paddlesport Launch, 3.1 mile paved trail along the river and mountain biking trails all just steps from your front door! MLS#3482609. Avencia Homes. For more Community Information Visit http://www.riverwalkcarolinas.com/. MLS#3478407. Allen Tate Providence @485. Our broad range of amenities include all manner of sporting venues, miles of exciting trails, plus shopping and dining choices. MLS#3468797. Avencia Homes. 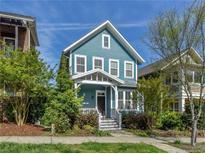 Walk to great neighborhood restaurants and savor seasonal Catawba River views! Come make this one yours! MLS#3465930. Rinehart Realty Corporation. Home comes with a 30-day buyback guarantee. Terms and conditions apply. MLS#3464828. Opendoor Brokerage LLC.